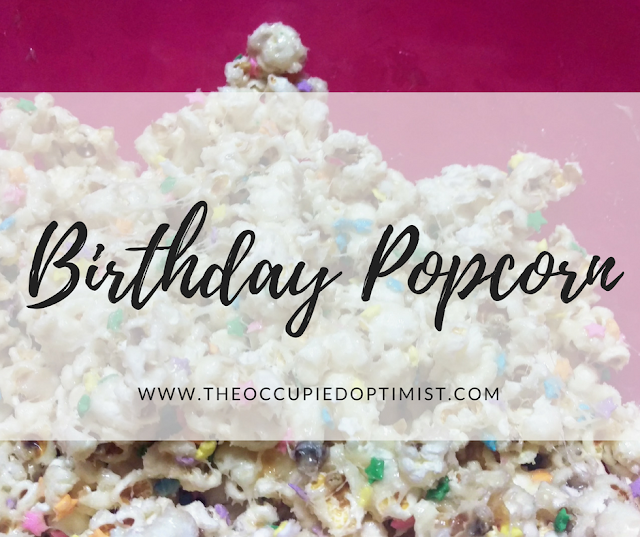 I love preparing this easy-to-make birthday cake flavored popcorn for my friends! This popcorn recipe reminds me of rice crispy treats and is similar in taste and texture/stickiness. 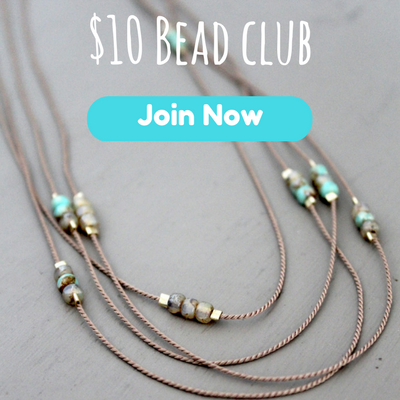 It requires only seven commonly used ingredients! 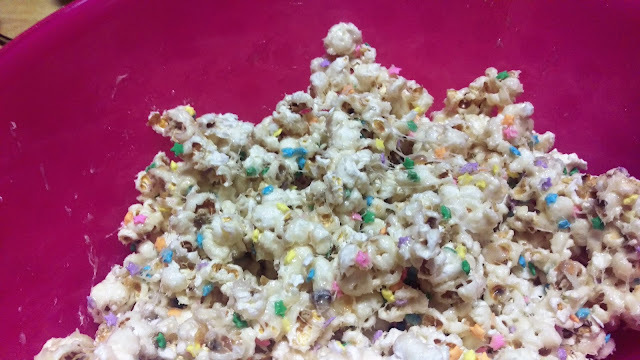 Popcorn is cheap to buy, easy to make, and even though this recipe isn't the healthiest way to eat popcorn, there should be no reason to feel guilty for eating it. Everyone deserves to indulge in a happy little treat now and again, and especially if it's their birthday! At least you know what ingredients are in this one! Check out the recipe below! 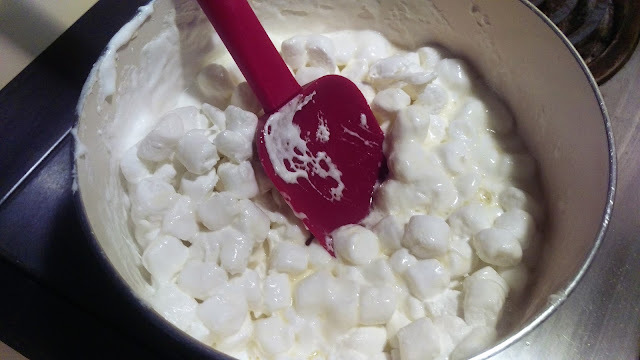 In a medium pot, melt marshmallows and butter on medium heat, stirring constantly to ensure mixture is heated evenly. 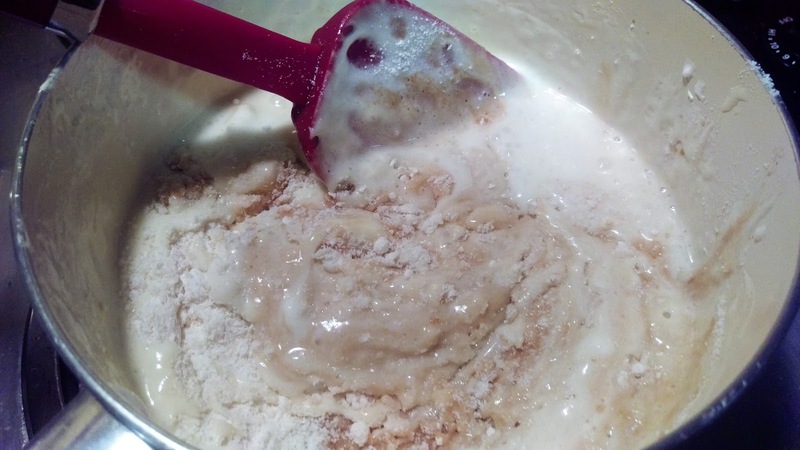 Once the marshmallows are completely melted, remove from heat and add vanilla, milk and cake mix stirring in well. 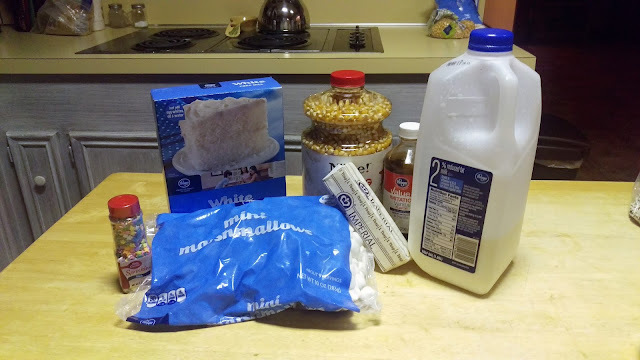 Add mixture to popcorn and coat well. Top with sprinkles, let set, then ENJOY! It tastes as sweet as it looks! Check out some of my other favorite popcorn flavored recipes HERE!